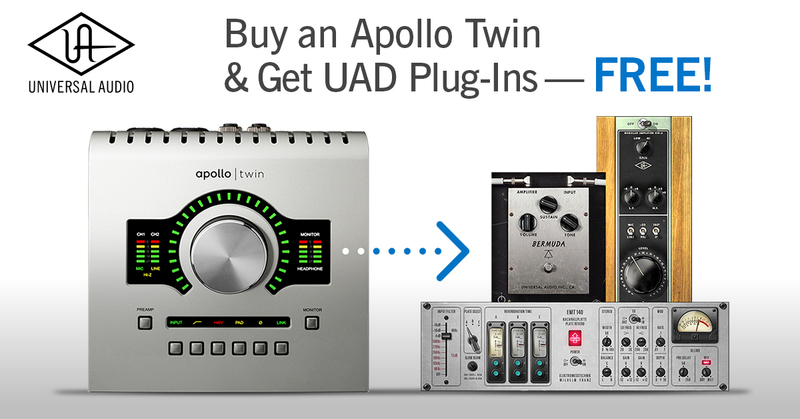 Buy an Apollo Twin & Get UAD Reverb, Preamp, and Guitar Effects Plug-Ins — FREE! Buy an Apollo Twin & Get UAD Reverb, Preamp, and Guitar Effects Plug-Ins — FREE! Hurry, offer ends December 31st, 2015. Shop get Apollo now to get your FREE Plug-ins!